Kylie Jenner wants more kids, but will Stormi Webster be getting a sibling in the near future? The Keeping Up With the Kardashians star answers that question and more in her cover story for the latest issue of Interview Germany. In the candid conversation, published Thursday, the 21-year-old beauty mogul opens up about motherhood and baby Stormi, who she welcomed with beau Travis Scott in Feb. 2018. 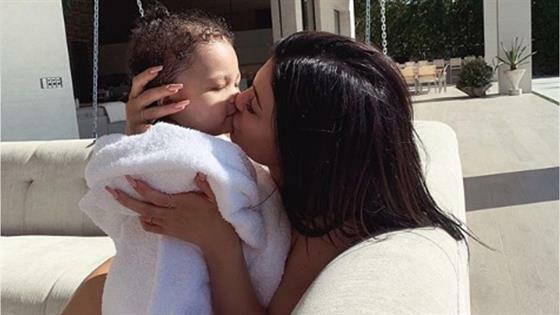 "I always knew I wanted to be a young mother," Kylie tells the magazine. "I remember people used to ask, 'Are you ready for this?' And I always knew I was ready but you don't know what that love and that feeling is like until after you have a child. She really comes before me so that is a lot to take in at a young age but I feel like I was definitely made for this and she has changed my life for the better." The Kylie Cosmetics founder adds, "The way that I look at things is a lot more positive and I really feel like my life didn't start until I had her." And although Kylie has gotten more comfortable sharing photos of her daughter on social media, don't expect her to appear on KUWTK just yet. Kylie explains, "I am going to wait until she is old enough to make that decision for herself." While Kylie wants to give Stormi a baby brother or sister, it might not happen for a bit. "I do want more kids but I do not have any plans in the near future to have children right now," she shares with Interview. Kylie also reveals in the cover story that she's felt "more pressure" to be a role model since welcoming her daughter. "I feel like I felt a lot more pressure to become a role model when I had my daughter because I know she's going to look up to me and I want to be the best example I can be," she explains. Kylie has a lot to be proud of these days, Forbes recently announced that she's become the youngest self-made billionaire. Thanks to the success of Kylie Cosmetics, she's reached the major money milestone at a younger age than Mark Zuckerberg. 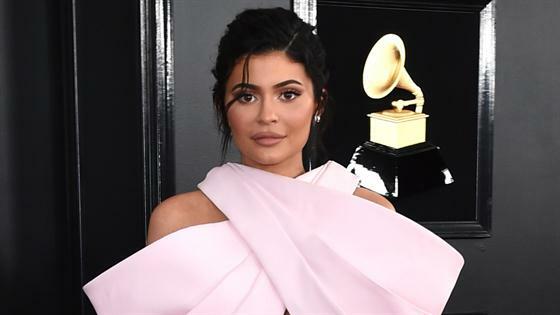 As for those critical comments about her not being "self-made," Kylie says, "There's really no other word to use other than self-made because that is the truth. That is the category that I fall under. Although, I am a special case because before I started Kylie Cosmetics, I had a huge platform and lots of fans. I did not get money from my parents past the age of 15. I used 100% of my own money to start the company, not a dime in my bank account is inherited… and I am very proud of that." "I can't remember the day when I didn't have millions of people telling me their opinion on everything that I do, so I have no idea what it would be like for that not to happen," Kylie says of comments she receives on social media. "It does get to me sometimes but I feel like God put me in this position because he knew that I could handle it." And although social media is a major part of her business, Kylie admits, "Honestly, I would love to just put my phone away and live in the moment."